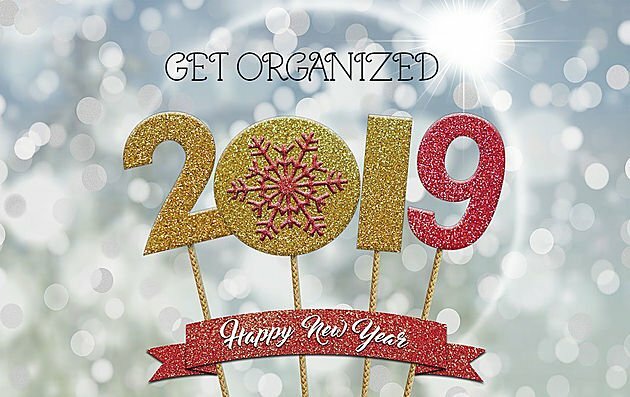 January is “Get Organized” month, and organization is one of the top 3 resolutions that people set for themselves. The beginning of the new year is a perfect time to start simplifying your life while it’s cold and dreary outside. By March, when spring cleaning starts, you’ll be ahead of the game and a pro! Your friends will be so jealous. Here’s the thing with resolutions. People have good intentions…but then procrastination sets in, then frustration follows closely, and then people just shut down. Here’s my advice: Don’t make resolutions, make life-changing goals. You can have big goals such as find a new job or a smaller goal such as organizing your closets. Whether it’s big or small, break the goal down into attainable, bite-size chunks. 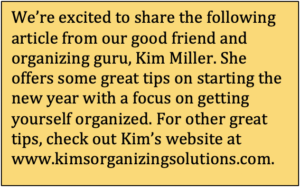 Let’s say your main goal is to declutter and organize all your closets. 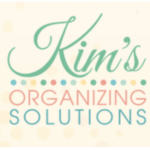 You aren’t going to start by organizing ALL the closets at once—that would be disastrous! Get out the calendar and decide on days and times (30-minute sessions) you are going to start working. Get needed supplies such as trash bags, donation bags/ boxes, labels, etc. Create three sorting bins and label them “Keep,” “Toss,” and “Donate.” Stay hydrated with a water bottle, and put the phone on silent! Start with smallest closet first, and purge items into Keep, Toss, and Donate bins. Later take Toss to trash and find an area such as the garage for Donate. Go to closet #2 (on your next session) and repeat. After purging, decide if you need to relocate things to other spaces or closets. Figure out what type of containers or shelving you need. You may need to take measurements. Start with one closet and start organizing things into containers and onto shelves. Continue with all closets until you have achieved your amazing goal. Give yourself a reward! You did it!